Some time ago a friend of mine, Angelina Valleau, pointed me towards photos of Alexander Simays. 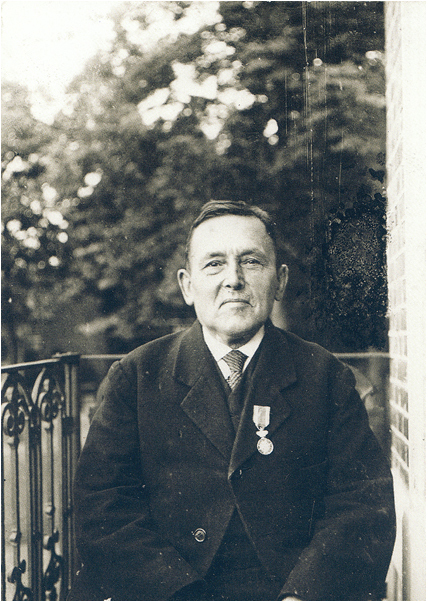 He documented Maastricht a long time ago, between 1912 and 1940. Lots of the places he photographed no longer exist the way they do now. Angelina mentioned the photos having been made using the wet plate collodion process. That of course raised my interest. However, after having seen his images I wasn’t convinced they were made using collodion but rather on dry plates as that was the way to go from around the 1880’s. Much less of a hassle. 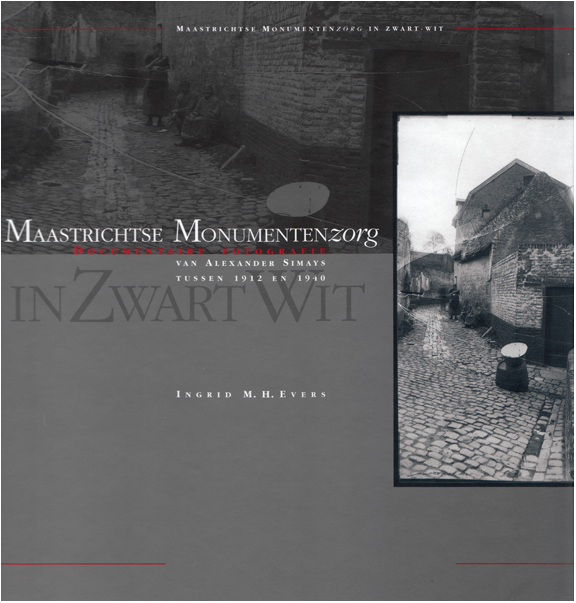 So, I bought the book “Maastrichtse Monumentenzorg in ZwartWit” written by Ingrid M.H. Evers and published by Stichting Historische Reeks Maastricht. This book documents the changes in the policy of Maastricht regarding monumental care between the 1850’s and 1900’s. guided by the commissioned work of Alexander Simays, photographs of Maastricht (monuments) between 1912 and 1940. Today I received the book and was so excited to see that all the information on date and locations was carefully logged by Alexander Simays. This will most obviously come in handy when trying to nail those exact spots. Needless to say I’m extremely looking forward to starting with this project although “finishing” will take up quite a bit of time. I mentioned wanting to make this series on 4×10″ but after having seen his photographs 8×10″ will be the size to go as it will resemble the original proportions better. 4×10″ will be used for “my own” images. P.S. permission asked and granted to use the self portrait of Alexander Simays. This entry was posted on March 23, 2011 by Contrastique. It was filed under Books, Concepts and was tagged with Alexander Simays, maastricht, wet plate collodion. It seems an excellent project, look forward to seeing your interpretation. I often pick a theme, or subject to pursue, like giving yourself an assignment. I also like to pick a theme. It keeps you focused and has the ability to take photography beyond “just” a pretty picture.